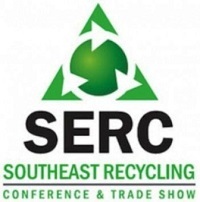 The Southeast Recycling Conference & Trade Show (SERC) started over 30 years ago, and remains a leading educational and networking event for recycling industry professionals. Attendees include solid waste directors, recycling coordinators, processors, brokers, manufacturers, trade associations, and others. Join us this year in Orlando, FL, for the 32nd Southeast Recycling Conference & Trade Show. For registration information, please visit: http://southeastrecycling.com/registration.